Philosophy: We strive to have a perfect class for everyone. 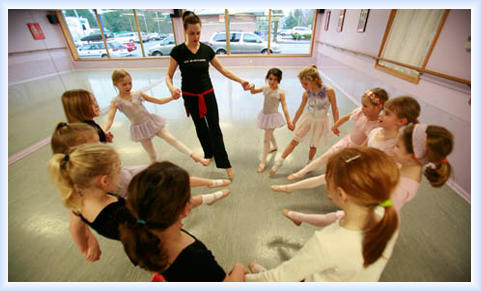 Regardless of age, skill level, experience, shape, size or background, we help each student discover the dancer within. We emphasize a friendly, non-competitive environment and give personalized attention to all of our dancers by limiting class sizes. 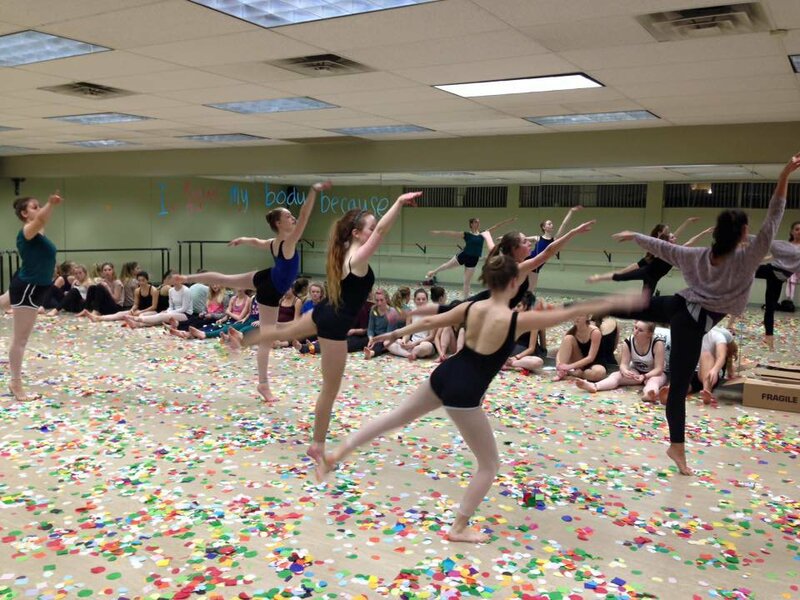 Opportunities for challenges increase as dancers get older (see Teen program below). Instruction: Our instructors are professional, experienced and well-trained. 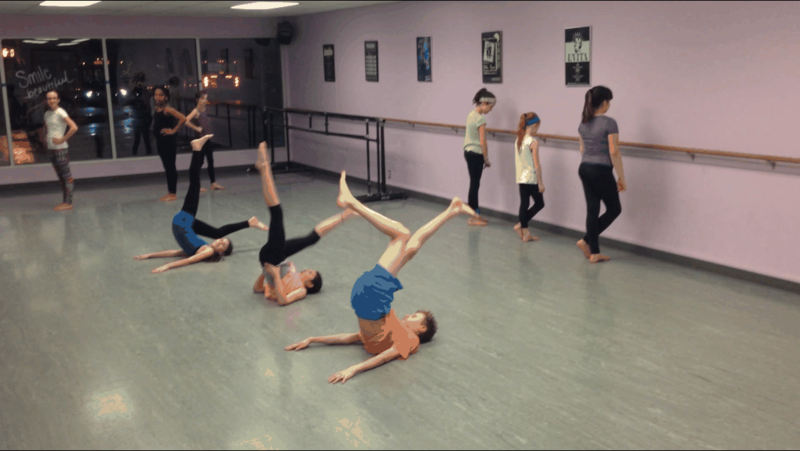 They deliver fun, challenging classes that engage and develop the whole person -- mind and body. Dancers progress through instruction tied to our well-developed All That Dance curriculum. Progress is monitored with class-specific, skill-based checklists. 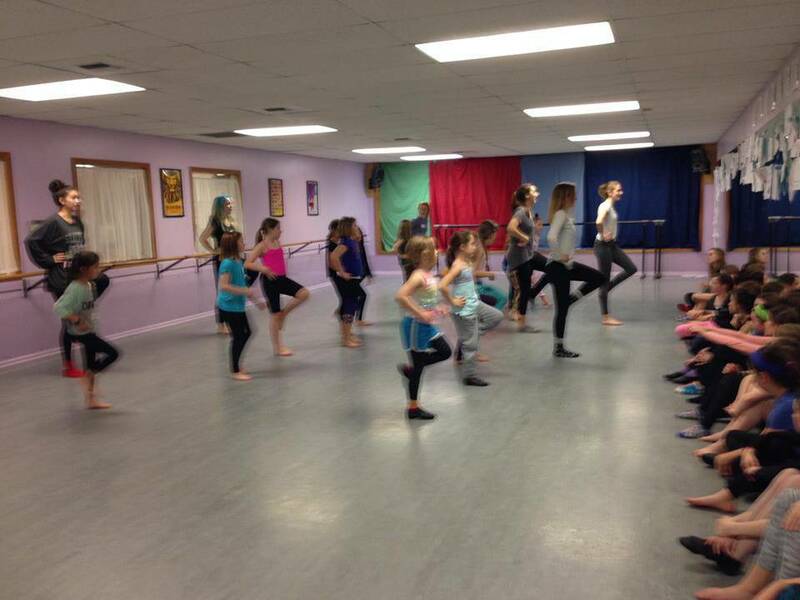 Kids program: Dancers start by learning the basics of creative movement with classes that engage not just their bodies but also their minds and creative spirits. From there, opportunities expand to include ballet, tap, jazz, and more. Teen program: As our dancers progress, we give them additional avenues for demonstrating their skill and passion for dance. 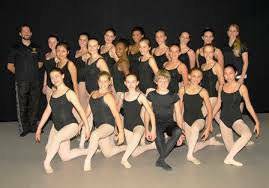 With the ATD Company, our teen dancers get a rich experience filled with challenging and sophisticated choreography that is showcased in their own annual performance -- along with tons of fun and camaraderie. With the ATD Honor Club, our teens get additional opportunities to be leaders by creating choreography and performing and bringing dance to our community. With the Maygan's Mentees program, our teens can earn credit toward class payment while working and learning as helpers in our office and in classes as assistant instructors. Adult program: Our focus is on fun, fitness and neighborly camaraderie while also helping you develop your skills. And like everyone else, you get the opportunity to perform, too. Personalized Recommendations: The key to an enriching dance experience is proper class placement based on experience, skill level and age. That's why we put a lot of energy and expertise into giving personalized recommendations to each and every one of our dancers, new and returning. Performance opportunities: Opportunities include Watching Week, in which family and friends are invited into the studio on the final day of each semester class. At the annual June Spring Performances, dancers get the opportunity to perform a routine with their class on a big stage with a professional stage crew, lights and music. And teens get to be part of the extremely popular ATD Company (see "Teens program" above). Professional customer service: We pride ourselves in providing responsive, professional customer service. We focus on being highly communicative and flexible, and we work hard to resolve any issues that arise. Facilities: At our main location, we have more than 6,000 beautiful square feet, including three large, well-maintained sprung dance floors. In our expansive lobby we have a coffee bar, free WiFi, and air conditioning, as well as toys and books for younger siblings. Our fully-staffed office is at our main location. 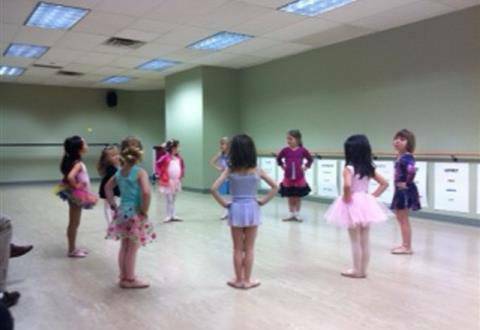 At our new location in the Greenwood neighborhood, we have two spacious dance studios with the same high-quality sprung floors featured at our main location. The Greenwood lobby has fresh paint and carpet, as well as comfortable seating, free WiFi, air conditioning, and a selection of toys and books. There is also an office staff person on site. Web site: We have a technologically advanced Web site to help you stay engaged and informed. Class pages (one for every single class at the studio) offer opportunities for deeper learning and connection.  Elsewhere on our site, you can your review your dancer's class history, your payment status, get class recommendations, search for classes multiple ways, and much more.